Project FeederWatch Season is Coming! Project FeederWatch starts November 10th, 2012. A couple of years ago, I joined Project FeederWatch as part of my home school science studies. The first year, I didn’t think counting the birds at my feeders on selected days for almost a year would be fun; it was my mother’s idea and I wasn’t quite as, well, nutty about birds as I am now. But I was completely wrong. It was very exciting to see which birds, and how many, would come to my feeders on the days I chose, and ever since I’ve been participating in Project FeederWatch. Project FeederWatch is very helpful to scientists because they receive data from feeder watchers all over North America, which helps them look at population trends and see what species are increasing or decreasing. When you sign up for Project FeederWatch in Canada you will become a member of Bird Studies Canada, and receive quarterly issues of BirdWatch Canada magazine, a large full color poster of common feeder birds of Western Canada and Eastern Canada, and other great material on bird feeding. Last season I filled out my data online instead of writing in the booklet and sending in the filled out forms at the end of the season, which I found much easier and convenient. Project FeederWatch also has a wonderful blog, where they have links to help you identify similar species, great bird feeding tips, and a gallery of Project FeederWatch participant photos. In the mail a few weeks ago I received a letter from Bird Studies Canada, with a complimentary renewed BSC membership as a participant in the 2012-13 FeederWatch program, for my participation in the Young Ornithologists’ Workshop at Long Point in August. It’s a wonderful gift and one I know I will enjoy using very much. Thank you very much, Bird Studies Canada! I can’t wait for Project FeederWatch season to start and hope lots of birds visit my feeders too! Also, the US website for PFW has a page with Educator and Home School Resources, along with a free PDF to download, “Homeschooler’s Guide to Project FeederWatch”; I never used it but it might be helpful for other students and home schoolers. 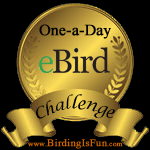 This entry was posted in Alberta Birds, Autumn, Birding, Birding Events, Fall Migration, Feeding Birds, General Birding, Spring, Spring Migration, Winter and tagged Bird Studies Canada, Common Redpoll, Cornell Lab of Ornithology, Facebook, Northern Shrike, Pine Grosbeak, Project FeederWatch, Twitter. Bookmark the permalink. An elderly friend of mine, who was 96 or more when she passed last year, was completely involved with Project Feederwatch here in my neighbourhood in Central Ontario. She was as excited as you are Prairie Birder, and always encouraged me to join. I never had time before, or thought I didn’t. But this year – because of your enthusiasm and in her memory – I’ll join. 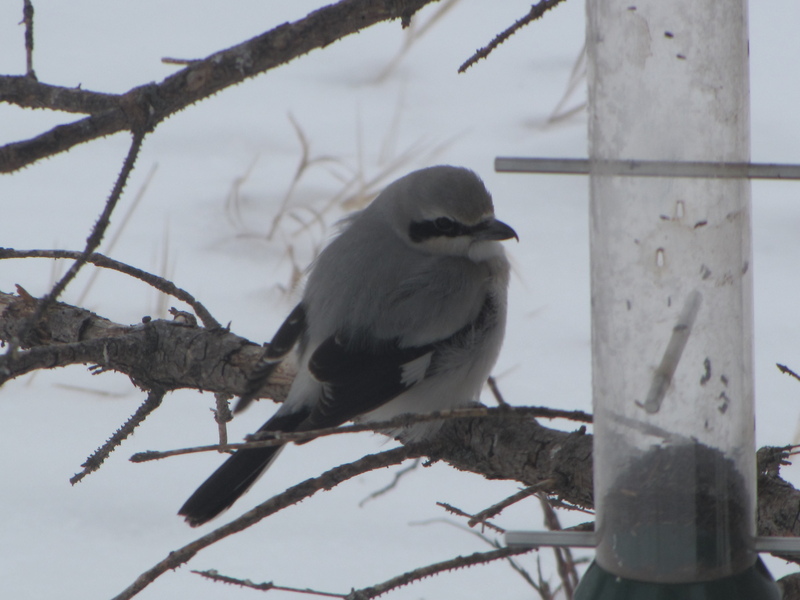 I hope others who follow your blog and Alberta Birds on Facebook do as well. Wonderful photos in this post – you have a great sense of timing to catch the birds in interesting poses, and provide clear colourful pictures. 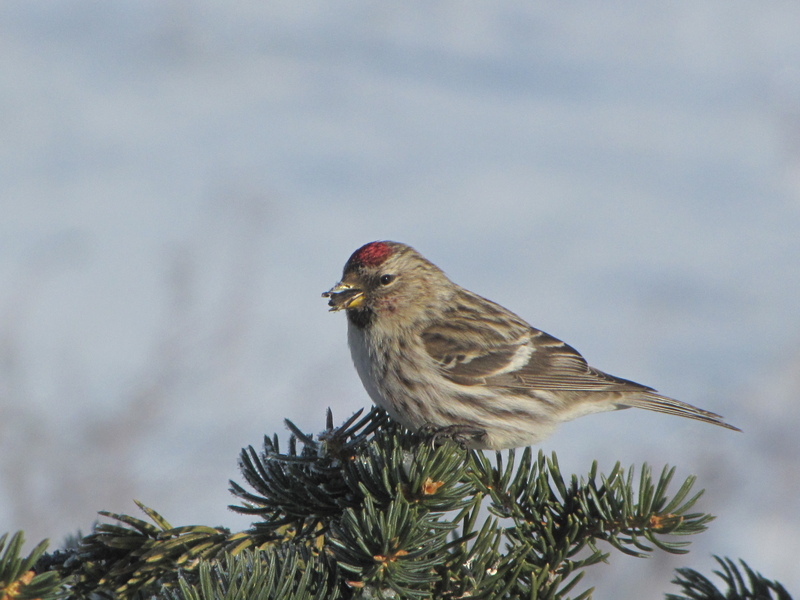 Lovely images Prairie Birder, I hope you have great luck watching your feeders this year!